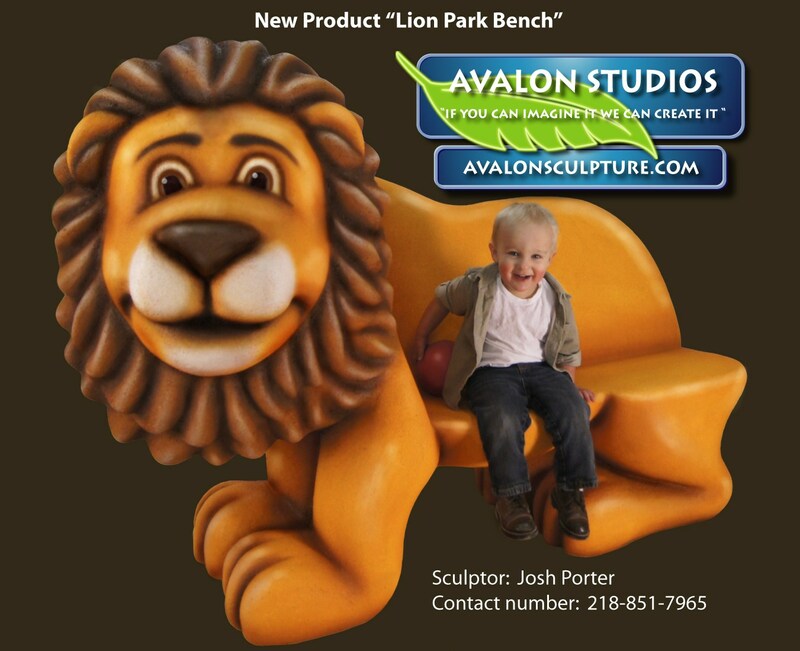 Our newest product a "Lion Park Bench"
This custom bench is available Spring 2014. Order today and have yours ready for install before summer! 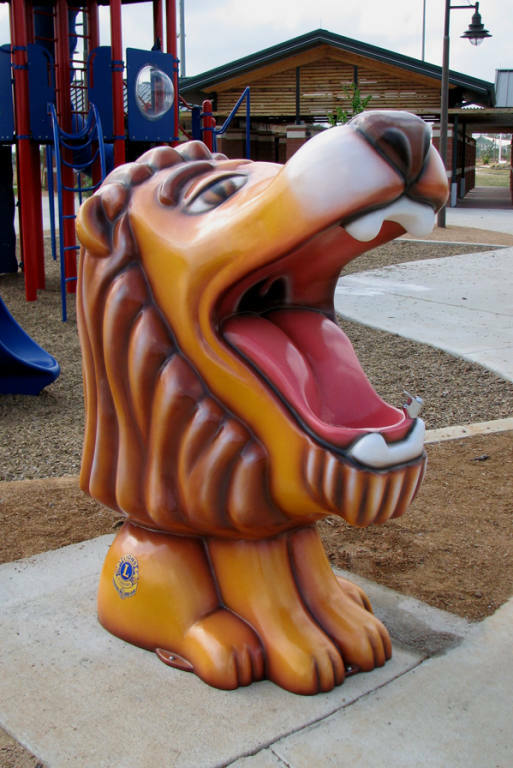 Introducing our newest lion themed product! 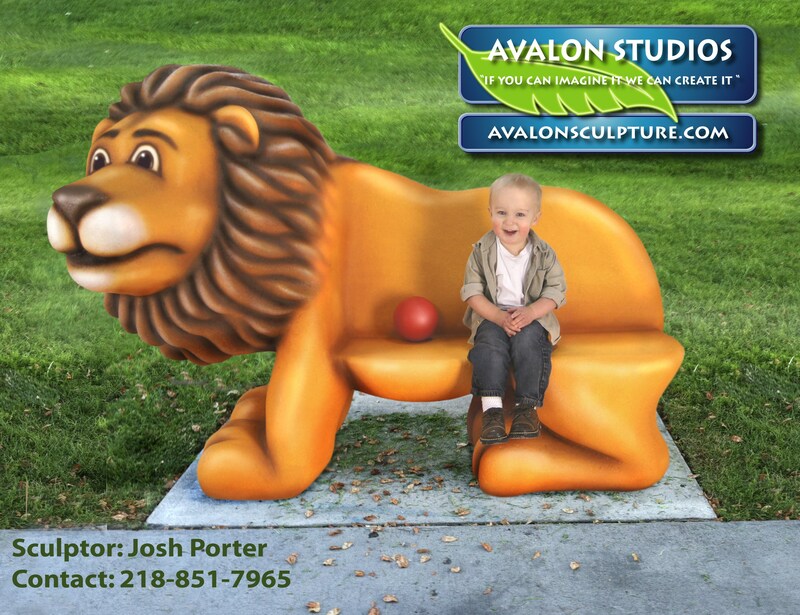 Check out the "Lion Park Bench" page for more information. 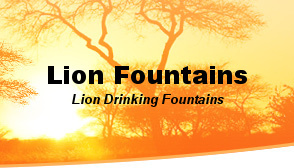 If you have been searching for Lion Drinking Fountains and where to purchase your very own, you have come to the right place. 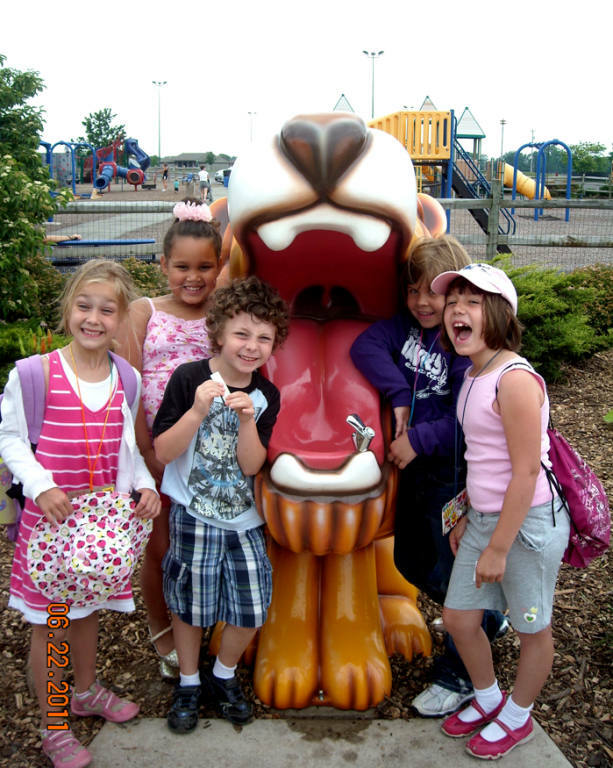 We build new lion fountains and restore old lion fountains to like new condition. 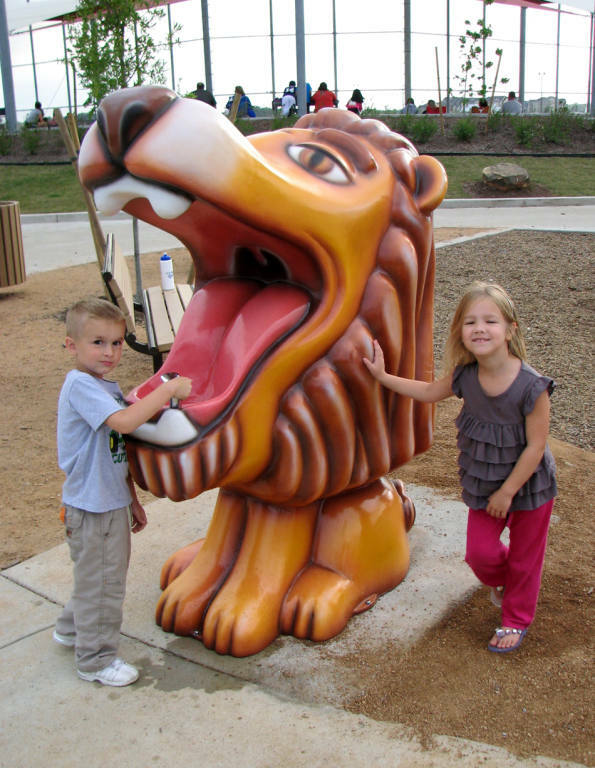 These fountains are excellent PR pieces for Lions Clubs. Placing one of these fountains in your local city park or playground is a great way to promote your club's presence and activity in your community. 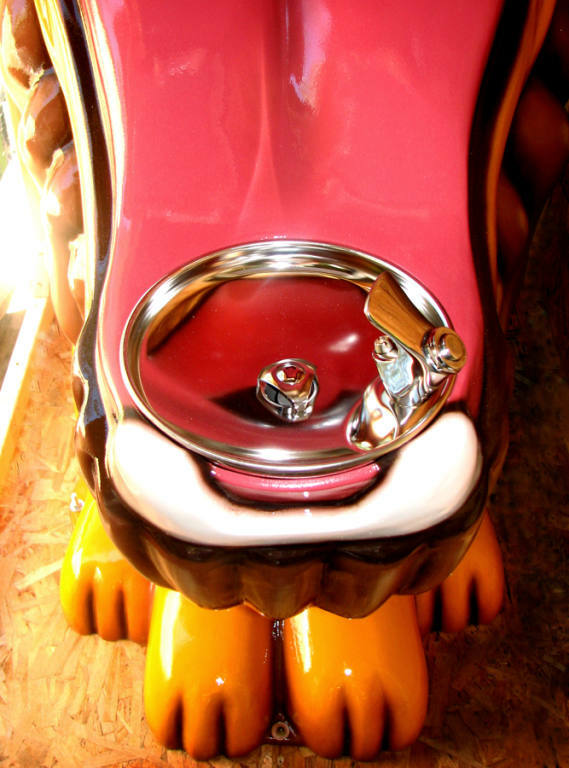 These fountains are also great for zoo's, county fairgrounds, theme parks, playgrounds and many other locations. 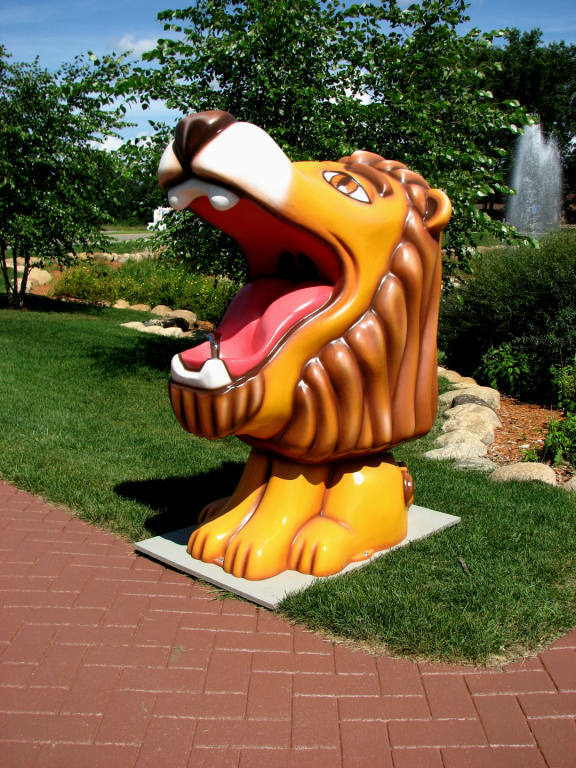 These new Lion Fountains are built to order in central MN (made in the U.S.A.) and can be customized to your liking. We can add logos or commemorative plaques, custom colors are also an option. 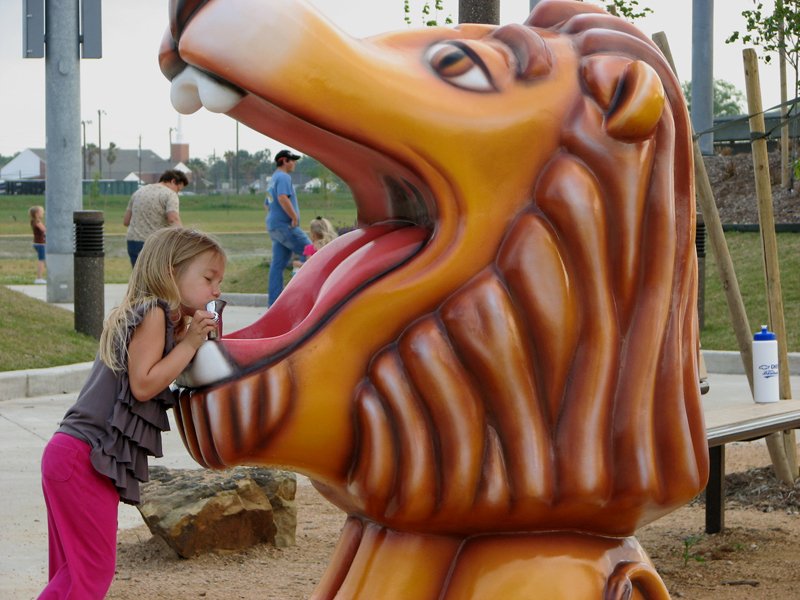 If you are not in the market for a drinking fountain, we can create custom lion statues or any other animal or character you can dream up. Take a look around our website and if you have any questions, don't be afraid to give us a call. 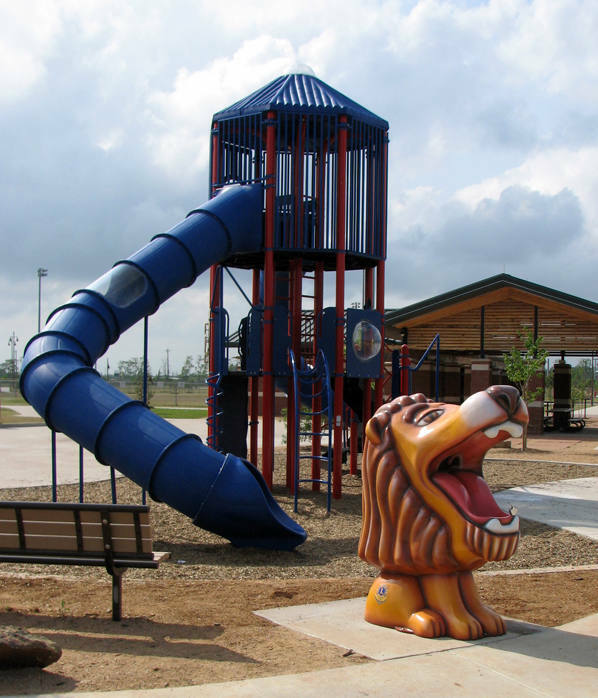 Be sure to check out the brochure page for more specifics on the Lion Fountains. The brochure is also helpful when presenting this project idea to your club.